NMA ROTA NEWSPAPERS ONLY NOT FOR WIRE. Her Majesty The Queen, accompanied by The Duke of Edinburgh, will attend a Service of Dedication and unveil the new memorial in Victoria Embankment Gardens, which honours the service and duty of both the UK Armed Forces and civilians in the Gulf region, Iraq and Afghanistan, and those who supported them back home, from 1990-2015. 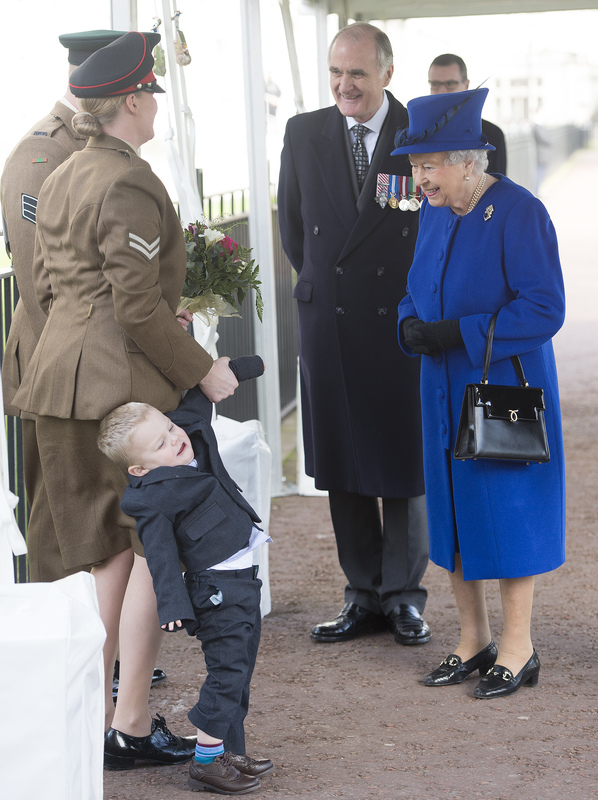 PIC: SGNT Mark Lunn and wife CPL Michele Lunn with son Alfie (2) who presented a posy to The Queen escorted by Sir Jock Stirrup.